One of your most important jobs as a pet owner is to be prepared for every eventuality. Hopefully, you’ll never have to deal with your dog choking, but on the off-chance it happens, you should know what to do. If a dog is choking, time is of the essence. You should take action right away, rather than waiting to see if the situation resolves itself on its own. 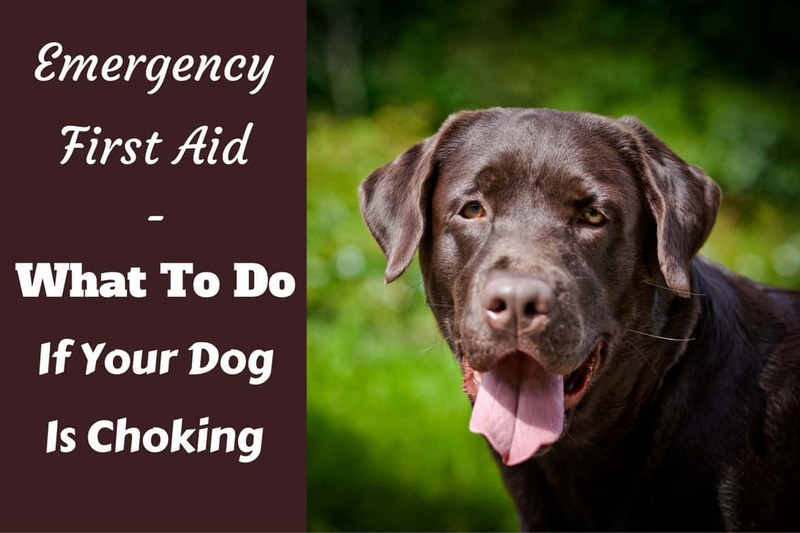 Although, according to Modern Dog Magazine, canines will sometimes manage to remove an obstruction themselves by coughing or retching, it’s not worth the risk of waiting it out if there’s something you can do to help. 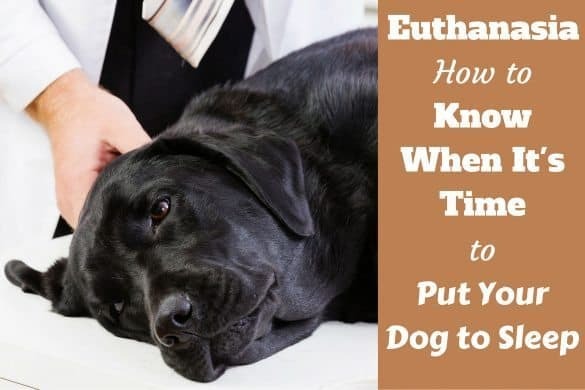 Of course, this isn’t a complete replacement for veterinary treatment, but if you wait to see a vet, your pet could suffocate before they even arrive at the vet’s office. Act quickly to remove any obstructions, and then – once your dog is safely breathing again – seek further veterinary attention. The first thing to do is to (quickly!) determine whether you dog is actually choking or something else is going on. If you’re a cautious dog owner, it’s easy to worry and assume the worst if you see your dog coughing or wheezing. Banfield Pet Hospital say the main difference you’ll notice between a dog who’s choking and one who’s simply coughing is to do with how they’re breathing. If a dog is choking, they won’t be able to breathe in properly, whereas a dog who’s having a coughing fit will be inhaling relatively normally. Additionally, PetMD suggests a dog with something lodged in their mouth or throat may paw at their muzzle. Another condition that often gets confused for choking is the reverse sneeze or pharyngeal gag reflex. According to Veterinary Partner, this is characterized by an unpleasant respiratory sound a little like a sneeze being sucked into the nose rather than pushed out. If you’re unsure whether or not your dog is choking and unable to breathe properly, it’s best to proceed as though they are, so as not to waste time. It’s vital to know how to act if your dog is choking. 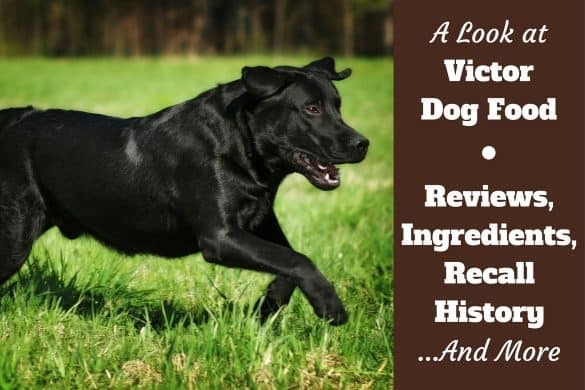 Having this information stored away in your brain could mean the difference between life and death for your canine companion if the worst should happen. The first thing you should do is to use your finger to check for any items that may be lodged in your dog’s mouth or throat. Banfield Pet Hospital suggests that you get your index finger and put it in one side of your dog’s mouth, slide it down towards the center of the throat and up the other side. If you feel something like a smooth bone deep in the throat, this is the Adam’s apple, so don’t be surprised. PetMD also suggests opening your dog’s mouth and performing a visual check to see if you can spot anything lodged. If you see or feel an obstruction, you need to remove it to restore your dog’s airway. In the event that the object is close enough that it’s easy to grasp with your fingers, go ahead and try to pull it out by hand. If it’s too far down or too hard to grasp, try using long nosed pliers or a flat spoon handle. Whatever you use or do – Be EXTREMELY careful not to push the object further down their throat. Be wary, as a choking dog will be panicked and more likely to bite out of fear. If you have a second person there, it’s a good idea to have them gently restrain the dog. If you can’t see or feel any obstruction, it must be further down the windpipe, so you’ll have to move on to one of the next options. 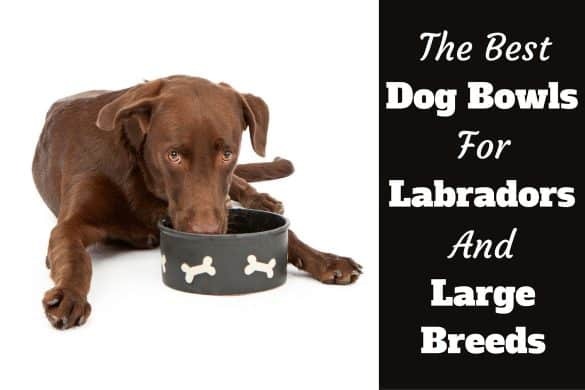 This is obviously not suitable for a dog the size of a Labrador, but if you happen to have a small dog who’s choking, the next step is to pick them up and try to shake the object out. According to PetMD, picking a small dog up by their thighs and gently swinging and shaking them can dislodge the offending object. If you have a large dog or the shaking yielded no results, then move on to the abdominal thrust, also known as the Heimlich maneuver. This is the canine equivalent of how you should save a choking human. 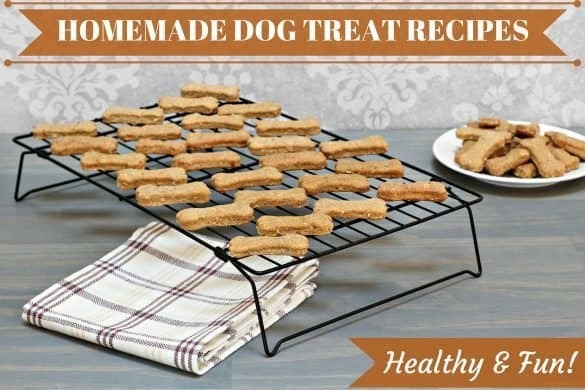 Place your dog on their side on a hard surface. If you can, tilt their head down and their hindquarters up, for instance by putting pillows or a rolled towel under their back end. Alternatively, if you have no time or this is too difficult to achieve, you can do it with your dog standing upright on all fours. Find the space behind your dog’s ribcage, and press inwards and upwards four or five times. If you have a small dog, use one hand to thrust and place one on their back to steady them. If you have a large dog, use both hands to thrust. Check the mouth to see if anything has been dislodged, and hook it out if so. Repeat if your dog is still choking. 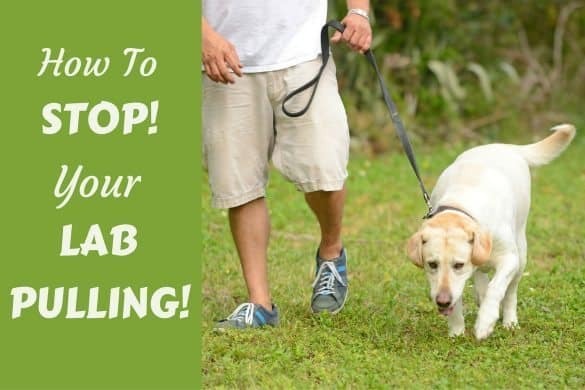 If your dog has been choking and is now unconscious, you should still perform the steps above, as dislodging the obstruction should get them conscious again. However, if your dog doesn’t seem to be breathing, you may need to perform CPR. This, of course, is an extreme circumstance and isn’t a substitute for veterinary attention, just a stopgap measure until you can rush to the vet’s. According to the University of Washington, the first step when performing CPR on your dog is to close their jaw and breathe in twice through their nose. Their chest should rise each time. For dogs over 60 lbs: 60 compressions per minute. For dogs less than 60 lbs: 80-100 compressions per minute. Repeat this with 30 chest compressions to every 2 breaths in through the nose. To learn how to do this properly, we’d recommend reviewing this video. However, once the obstruction is gone and your dog appears to be breathing normally, that isn’t the end of the matter. Such an obstruction could have harmed your dog’s throat or done other damage, or there could be another blockage further down. Take your four-legged friend to the vet right away to have them checked over and make sure everything’s a-okay. With any luck, you’ll never be in a situation where your dog is choking, and you can bring the likelihood of this happening down close to zero simply by practicing some caution. Treat your dog as though they’re a toddler who’s willing to put anything they see in their mouth. Make sure there’s nothing tempting lying around, especially when you’re not there to supervise your pup. Some of the main offenders when it comes to dogs choking are items that they were allowed to have previously, such as toys and chews. Although many owners feed their dogs rawhide chews, these can get soft and break off in huge chunks that are easy to lodge in a dog’s throat. Therefore, they’re not necessarily a great idea. 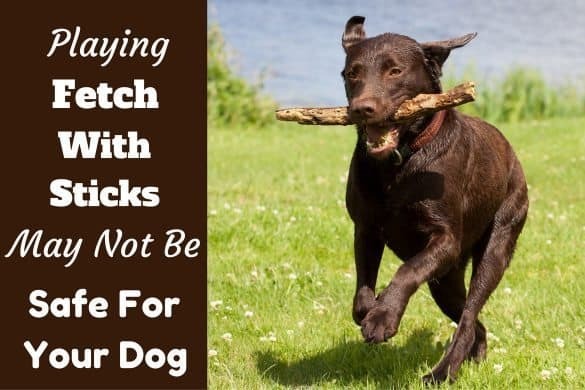 If your dog’s a heavy chewer, it’s also likely they could bite larger chunks of rubber balls or plastic toys, which can easily get stuck in their windpipe. We would recommend buying the toughest, indestructible dog toys you can find and always being around to supervise your dog when playing with any softer toys, just on the off-chance that something bad happens. Dogs are natural chewers so it’s tough to keep them away from all choking hazards, no matter how much you might want to try. Let’s just keep our fingers crossed that you’ll never have to use this information, but now at least you know what to do if you’re ever confronted with a dog who’s choking.